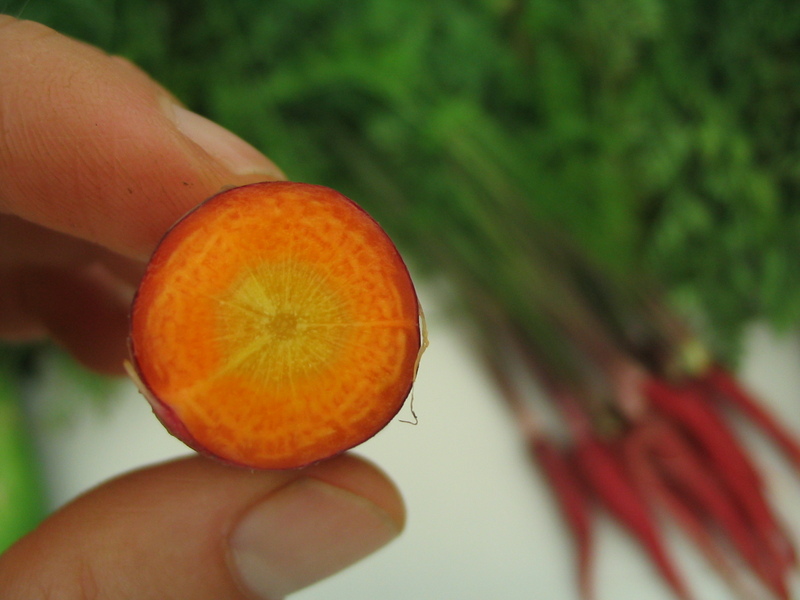 Tried out a new carrot variety, from High Mowing Seeds, called ‘Dragon’. It has beautiful reddish-purple skin. The interior is yellow and orange. Flavor is good. It must be, because about 1/4 of the carrots were eaten by moles. They tunnel through the ground and probably get pretty excited when they come to the carrot patch. 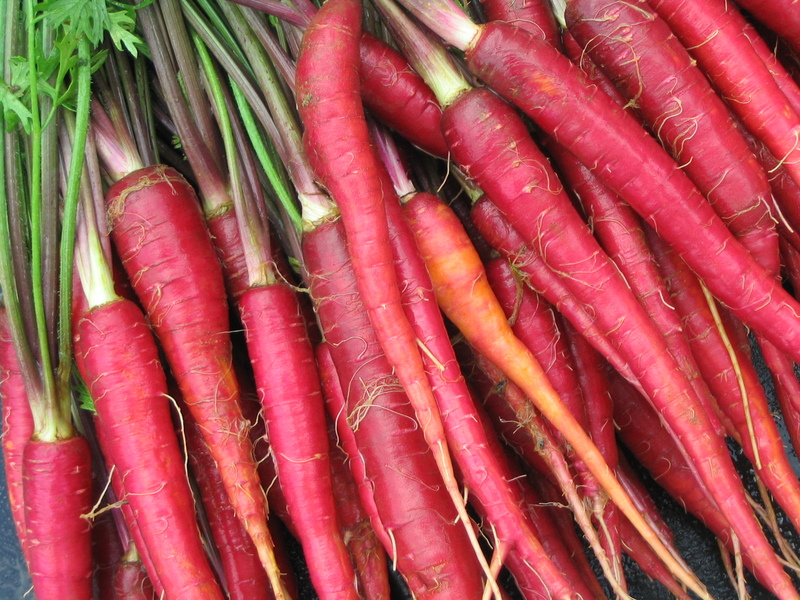 They leave behind wilted tops and chewed-off carrot nubs. The catalogue description says Dragon ‘has an equivalent lycopene content to tomatoes’. We’ll have a few bunches at market this week. See if you like them.